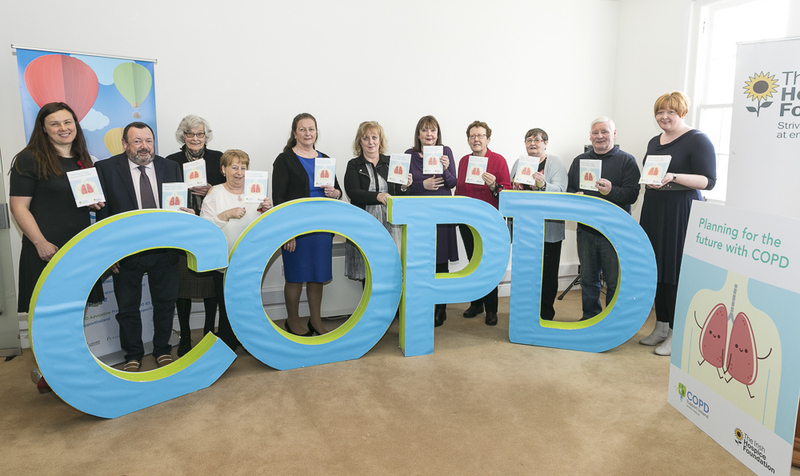 Bettina Korn, End-of-Life Care Coordinator, St James’s Hospital, Dublin, and Deirdre Shanagher, Development Officer, Irish Hospice Foundation Dublin, Ireland, introduce a new booklet for people affected by chronic obstructive pulmonary disease (COPD). This post responds to a blog post by Lea Jabbarian and colleagues on 23 April 2018 entitled: Advance care planning for patients with chronic respiratory disease. Our blog post aims to highlight a patient and carer information booklet: Planning for the future with COPD. This booklet was developed by people with COPD, family carers and patient advocates. It was launched on 26 March 2018 in Dublin, Ireland. A group of seven people with COPD and three family carers expressed an interest in determining information gaps in relation to planning for the future with COPD and in developing practical measures to fill this gap. This collaborative project between COPD Support Ireland and the Irish Hospice Foundation took place over an 18-month period. Participants were at different stages of COPD and all family carers had cared for someone who had died from COPD. None of the participants had engaged in advance care planning (ACP) conversations before but expressed an interest in exploring this topic. During the initial two workshops, a shared understanding of ACP was developed and concerns were identified. The facilitated workshops were framed on a continuous process of engagement, reflection and feedback. Engagement was meaningful and emotional. The facilitators worked to create a space where attendees felt comfortable to explore, reflect and express their thoughts and feelings. During workshops, three to five participants developed the booklet content and design. Between the workshops, participants engaged with others and were facilitated to represent the views of the wider COPD community as well as other people in their lives. It became apparent that the term Advance Care Planning was not representative of how participants conceptualise this topic. Subsequently, the group chose to title the booklet Planning for the future with COPD. A draft booklet was prepared and went for nationwide consultation where patient and healthcare organisations reviewed it. Since its launch, the booklet has received widespread positive feedback. This type of engagement with patients and carers provided a safe and creative space to explore the difficult topic of ACP. Participants shared powerful stories and supported each other in their journey of understanding the concept of ACP. Using a partnership approach in addressing this challenging topic created meaningful engagement. Patients and carers became active champions for ACP. The patients and carers involved clearly articulated the need for freely accessible information that helps them and their families to plan ahead and engage with their healthcare provider on this important topic. With expressed permission of all participants. Written consent with the Irish Hospice Foundation. 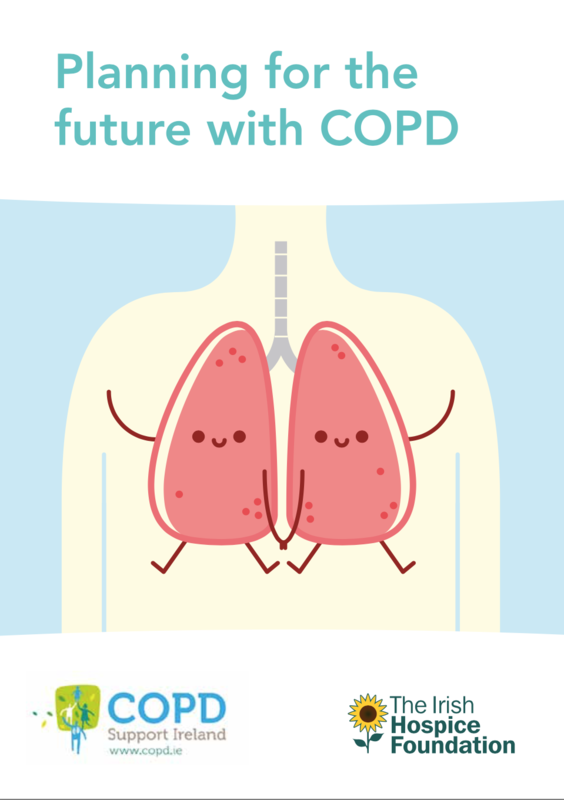 Planning for the future with COPD booklet – download the electronic version here. Irish Hospice Foundation – Palliative Care for All. This project was presented at the 15thEAPC World Congress 2017 in Madrid: Free Communication Session FC22 (See page 233 of the Abstract Book here). Contact Bettina Korn by email. This entry was posted in Advance care planning, NATIONAL & INTERNATIONAL REPORTS and tagged Advanced chronic respiratory disease, COPD and palliative care, Irish Hospice Foundation. Bookmark the permalink.